Well not much going on this weekend. Most likely I’ll continue playing Sleeping Dog & Soul Sacrifice. I must say, Sleeping Dogs is quite a surprise. The story is really enjoyable and there’s a lot of content in the game. Unlike other games that has a bunch of collectables that do absolutely nothing Sleeping Dog actually does, either by rewarding you by increasing your max health or finding new clothing. Pretty sweet, really underrated game if you ask me. Soul Sacrifice just continues to be amazing. I still haven’t completed the main story, I’m up to the Cerberus boss, I forget which chapter it’s on but its amazing. The story is great and pretty sad. My favorite story so far are the side stories though. The one about the man raised my a monster is both depressing and sweet. 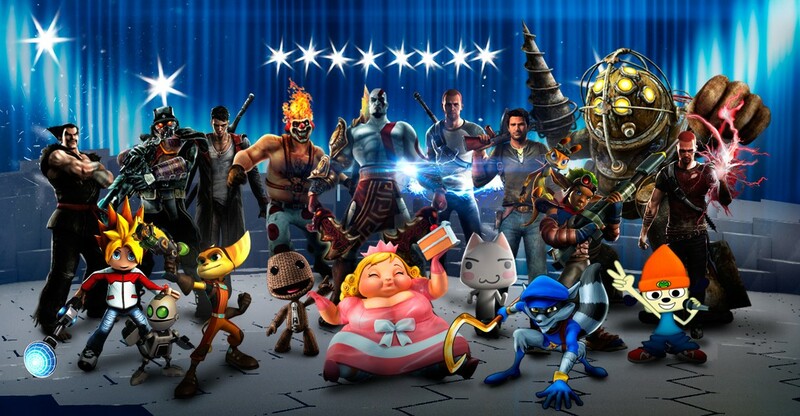 The reason I’m not that far in story mode though is because I’ve been play a lot of co-op with my friends. As soon as I get on my Vita the first thing I do is check if my buds are online. Currently I’m level 32 light and 7 dark, my friends are nearly max level though so I tend to be more of a burden on the team but it’s all good. They help me level up and I keep the heat off them, I react quite quickly so it’s not like they revive me much unless I get 1 hit ko’d. Lately I’ve also been having an itch to get back into LittleBigPlanet Vita again, been feeling like getting my creative juices flowing and making a level. I’m not sure on what exactly, but it’ll hit me once I start playing. Most likely it’ll be a challenge level since those are the easiest and my favorite to make. Too Many Games Too Little Time! Ah, i just finish buying Anarchy Reign at my local game store, they had it on sale for $20 so I just couldn’t resist. But boy, my backlog is already so huge. Next game on my list to complete(or more like till I feel like I’m done with) is LittleBigPlanet Karting(which is on sale on PSN; $10 for plus members, it’s a steal for that price). And my steam backlog, oh the horror. I have over twenty games on that thing that I still got to get through. I’m currently playing Scribblenauts Unlimited on my PC whenever I find myself not playing my PS3. Got mid terms next week as well, so most likely wont be playing anything this week. Maybe I can squeeze some Karting or Ni No Kuni(which is just AMAZING might I say). I don’t know How long Karting is but I might be able to post a review for that next week. Great Day to be a PlayStation Gamer! 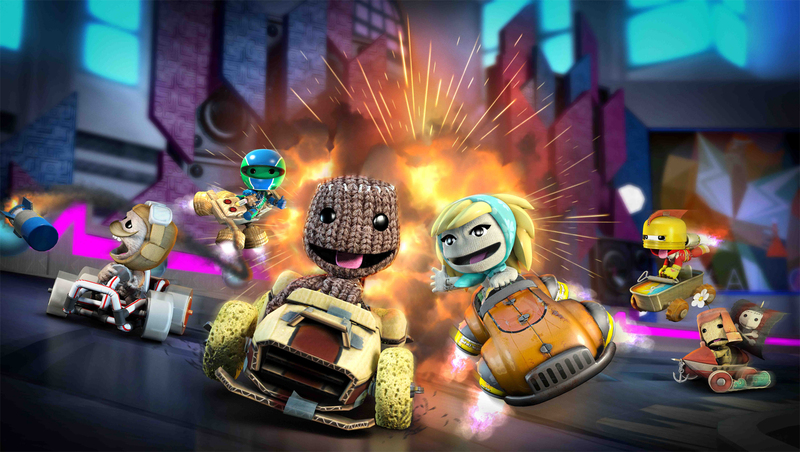 PSN is having an amazing sale this week, which includes LittleBigPlanet Karting for $10 for Plus members; I highly recommend it for that price. Also a lot of demos coming out this week which include Metal Gear Revengance, Dead Space 3 and some others as well! 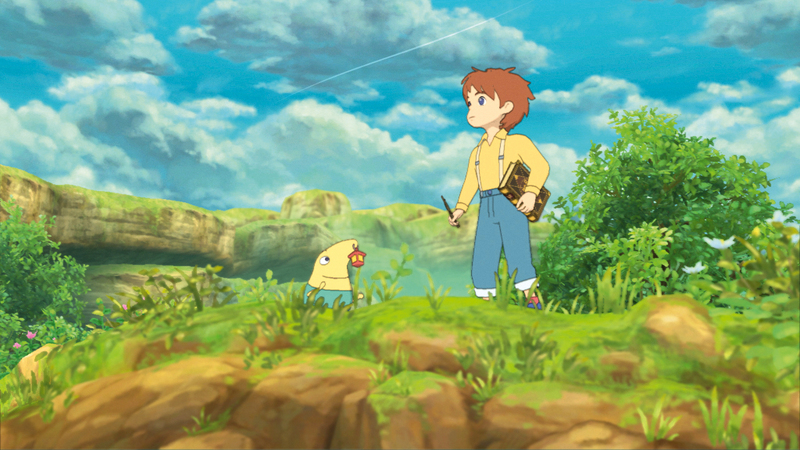 But, most importantly, Ni No Kuni: Wrath of the White Witch has finally been released! I’ve already received my copy but haven’t been able to play it yet but I’ll be posting a review once I’m done with it. I should be able to post a review of Dragon’s Dogma sometime next week if school doesn’t become to stressful, might also post some impressions of the demos releasing later on today as well, only time will tell!